The Tribeca Film Festival has become known as a prime hub for documentaries, and Sam Blair and Joseph Martin's Keep Quiet is further proof as to why that is. 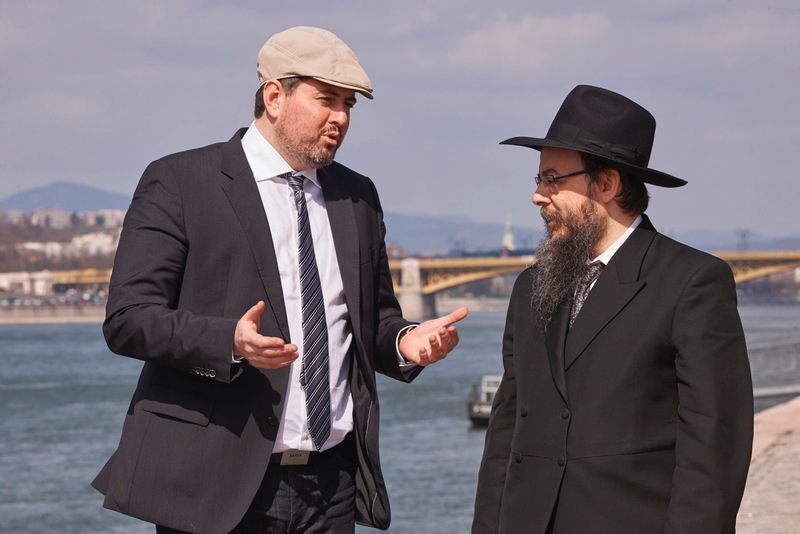 The film tells the story of Csanád Szegedi, a leader of Jobbik, a far-right, anti-semitic political group who, upon finding out that he's Jewish, goes through a major identity crisis and turns himself around. Keep Quiet chillingly and movingly explores whether a person can ever truly change and what the motive for that supposed change is. Blair and Martin make great use of archival footage from Szegedi's political days along with footage he shot when he interviewed his grandmother, a Holocaust survivor. But, the film's most powerful scene comes when Szegedi visits Auschwitz. It's a scene that ranks along with The Act of Killing's finale as one of the most revealing and raw in recent documentary history. Rarely do we get to witness someone's mind almost literally splitting open and changing heart, but we see it on full display in this shattering sequence in Keep Quiet. Throughout the film, Blair and Martin feature interview footage that they shot with Szegedi and it's riveting. He's a dream interview subject, as he's very open and vulnerable on camera. Lots of credit must go to Blair and Martin for never judging Szegedi. They're capable enough filmmakers to allow their subject and material to speak for themselves and allow us, the audience, to come up with an opinion of what we've seen. Keep Quiet is undoubtedly going to be one of the most hotly-debated films playing at Tribeca that should (if distributors are paying attention) be acquired for distribution fairly fast. Festival play should be good for this one, both at doc and Jewish film festivals. If possible to make the Tribeca screenings for Keep Quiet, go with friends and plan dinner afterwards, as this film will provide plenty of post-screening discussion.